Collins Booksellers - A Devil on Both Shoulders by John McKinstry, 9781386604839. Buy this book online. 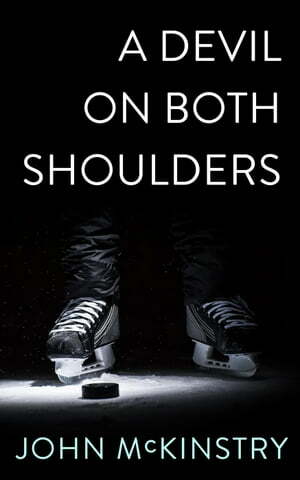 Ice hockey tough guy Ollie Brooks – better known as the Ogre – understands this better than anyone. He's been the enforcer for his team, the man whose job it is to upset and brutalise his opponents, for years now and has been terrifyingly effective in that role. But as he finishes his final season on the ice, the Ogre is faced with a dilemma – how does he adjust to a new life where you can't just settle all of your disagreements with a vicious left hook? And what are the consequences for the people around him going to be if he can't find a way?